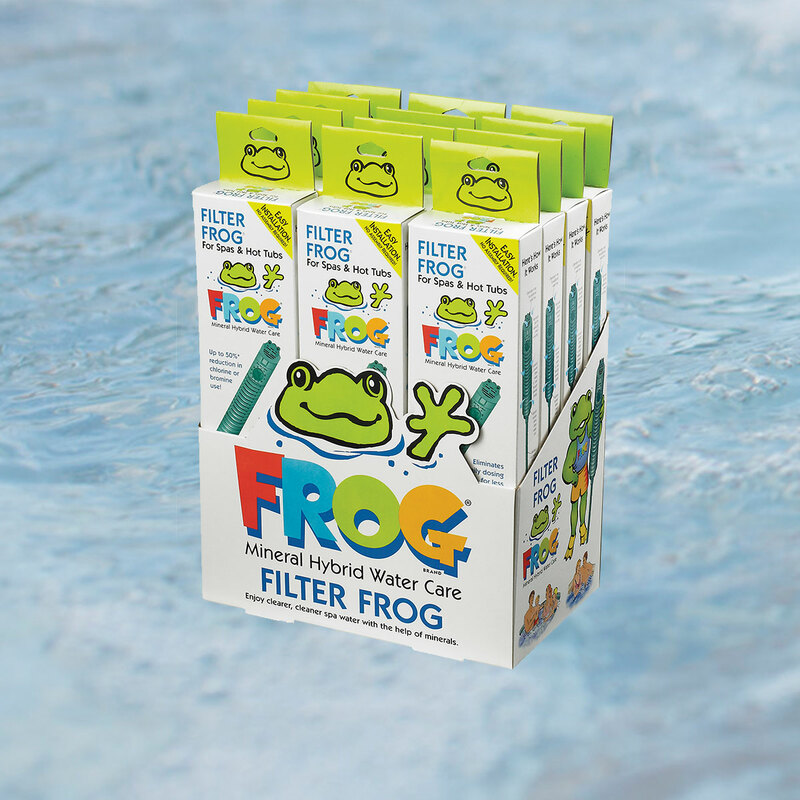 Filter Frog for hot tubs contains a patented mineral formula that destroys bacteria while neutralizing acids to help keep spa water pH in range. The Filter Frog stick fits inside your pleated filter cartridge. Together with very low levels of bromine or chlorine, you’ll enjoy healthier, crystal clear spa water. Product notes: Fits into filter (minimum filter core inside diameter 1.5″). Also works in most skimmer baskets or filter wells. Compatible with chlorine or bromine. For spas up to 600 gallons.